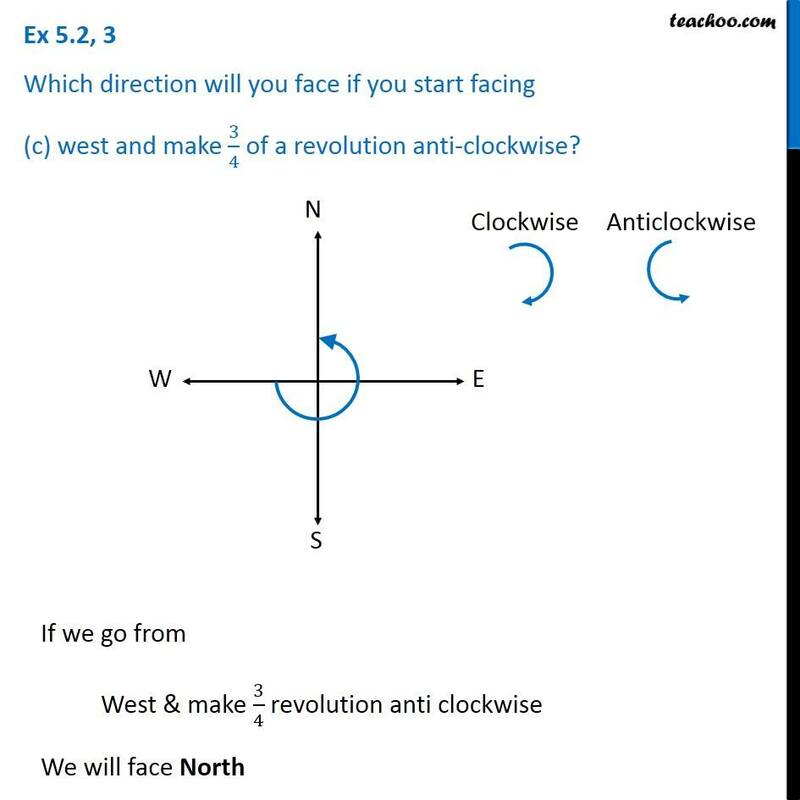 Ex 5.2, 3 Which direction will you face if you start facing (a) east and make 1/2 of a revolution clockwise? 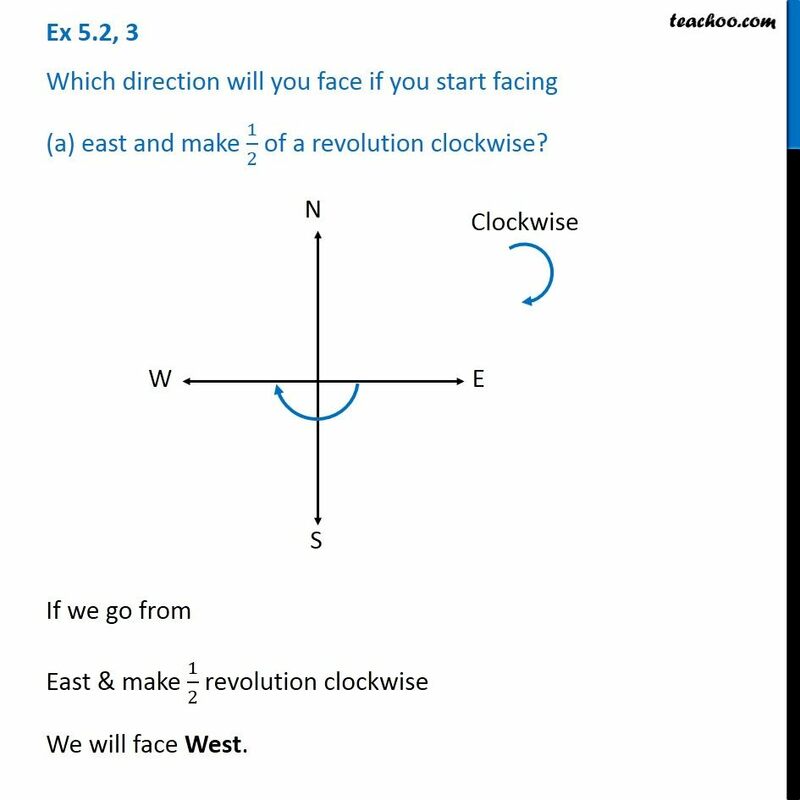 If we go from East & make 1/2 revolution clockwise We will face West. 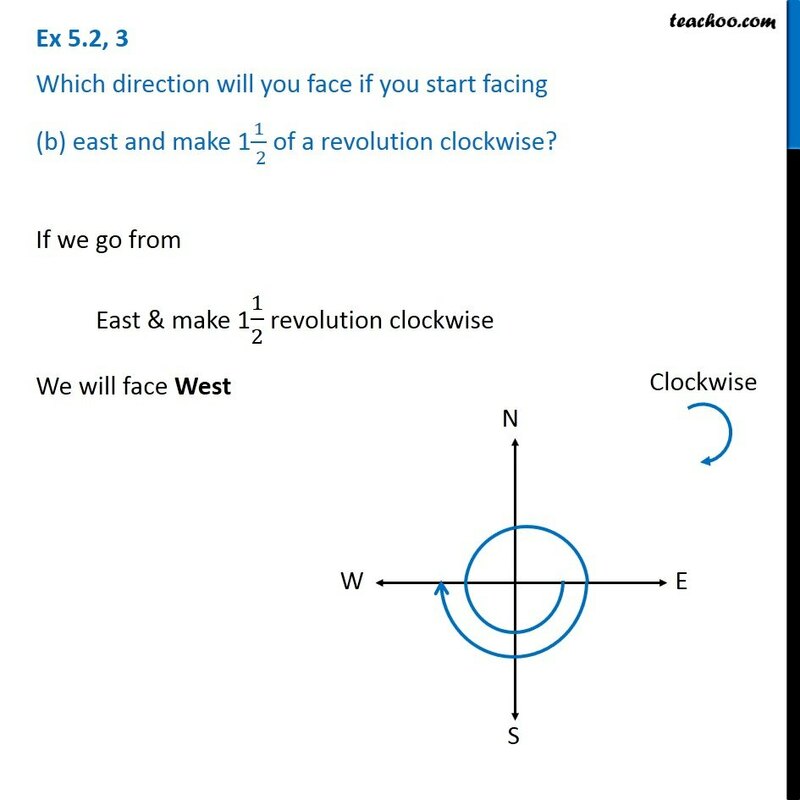 Ex 5.2, 3 Which direction will you face if you start facing (b) east and make 11/( 2) of a revolution clockwise?If we go from East & make 11/2 revolution clockwise We will face West Ex 5.2, 3 Which direction will you face if you start facing (c) west and make 3/4 of a revolution anti-clockwise? 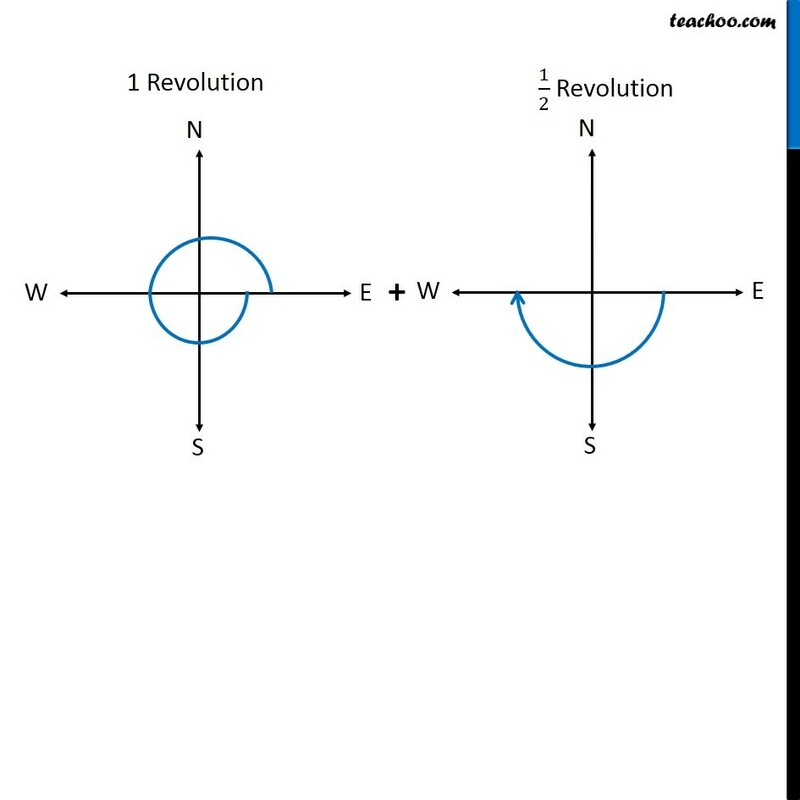 If we go from West & make 3/4 revolution anti clockwise We will face North Ex 5.2, 3 Which direction will you face if you start facing (d) south and make one full revolution? 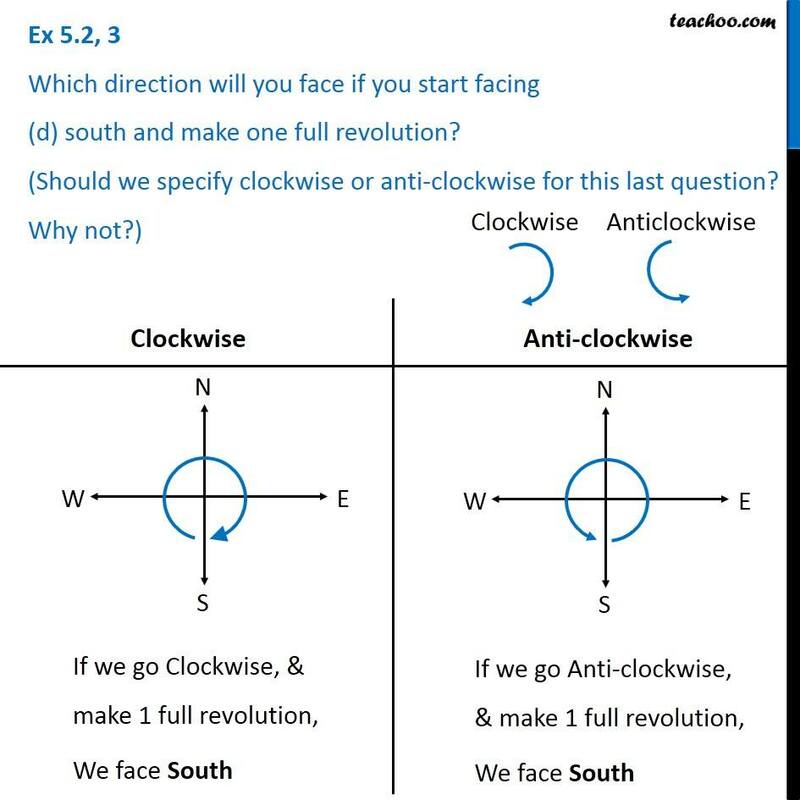 (Should we specify clockwise or anti-clockwise for this last question? Why not?) 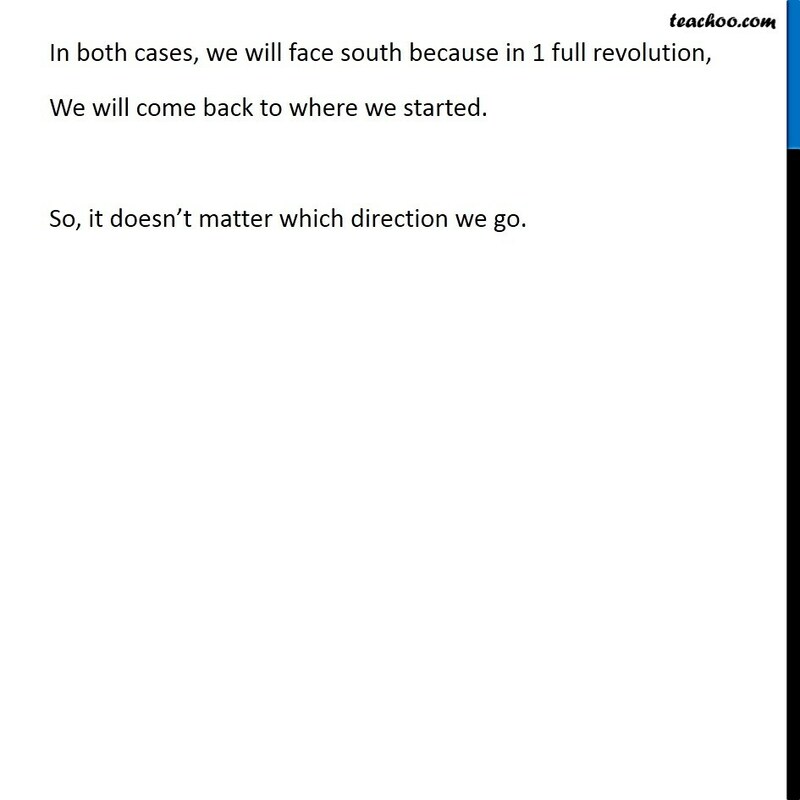 If we go Clockwise, & make 1 full revolution, We face South If we go Anti-clockwise, & make 1 full revolution, We face South In both cases, we will face south because in 1 full revolution, We will come back to where we started. So, it doesn’t matter which direction we go.